Finding a gentle food for your sensitive dog can be a long road of trial and error. A slightly out-of-the-box idea is Fish4Dogs. It’s fishy and it’s made for dogs, as the name suggests! Unusually for a dog feed, the sole source of meat is fish throughout the entire range. You’d expect to see maybe some chicken in there somewhere or another favourite meat, but not these guys; they’ve really gone for it and created a whole feeding concept around the lowly fish. The adult Fish4Dogs Finest Salmon and Finest Ocean White Fish contain over 55% fish, while Fish4Puppies contains over 70% fish! There’s something very fishy going on here. 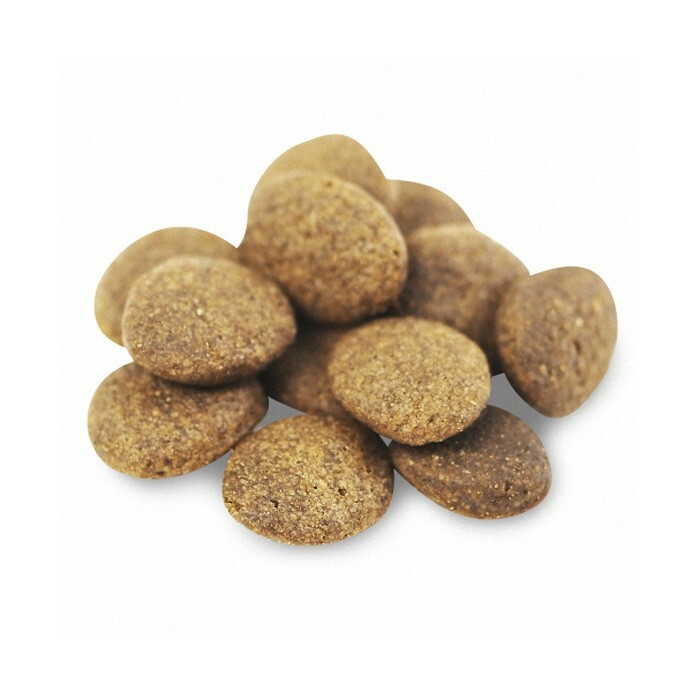 All Fish4Dogs treats contain only fish skins and nothing else (except for the Sea Biscuits that are 95% fish skins and contain 5% rice) so they’re a great treat for doggies with a grain intolerance. Fish is extremely digestible and doesn’t take much effort for a sensitive tummy to process. Dogs with sensitive tummies are often given plain boiled chicken or white fish to settle them, and for these poor pooches Fish4Dogs is a gentle step toward being back on the road to a normal diet. Fish, as we’re always being told by healthy living enthusiasts, is a great source of Omega 3. But what is it and why is Omega 3 good for dogs? Omega 3 is an essential fatty acid that helps your dog to have a glossy coat and healthy skin, and it also lubricates the joints to give your dog a little movement boost. Most animals (we’re included in this) don’t produce much in the way of their own essential fatty acids, and so need to get them from somewhere else; and the same is true for our dogs. As an example the Fish4Dogs Finest Salmon feed contains salmon, herring meal and salmon oil – that’s a whole lot of Omega 3 and a whole lot of skin and coat care!